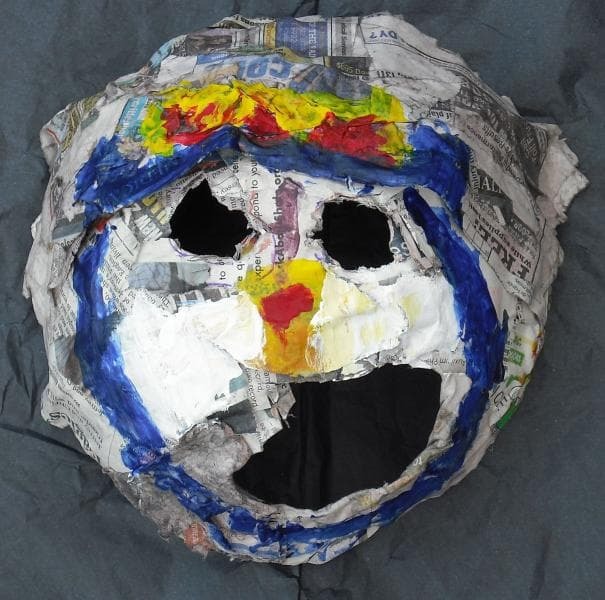 Campers made paper-mache by soaking newspaper in watery Elmer’s glue. They then laid their paper-mache over a balloon and let it dry. Once the paper-mache was dry campers could add more paper-mache forms to the surface to create 3-D features. The mask finally took on character when the campers painted the surface. Olivia’s bright and friendly cat mask is a work in progress.